David Cameron is appointed next prime minister by the Queen just an hour after Gordon Brown announced his resignation. George Osborne has been confirmed as Chancellor, with Nick Clegg becoming deputy prime minister. 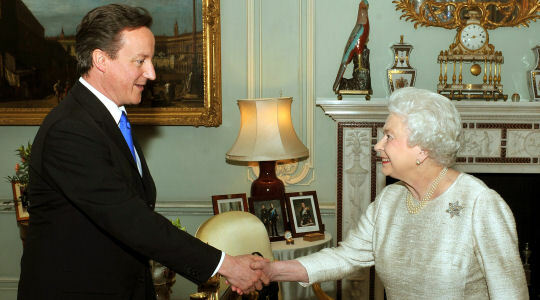 Mr Cameron arrived in Downing Street after being appointed prime minister by the Queen at Buckingham Palace. Speaking to the awaiting media, Mr Cameron stressed that he intended to govern through the coalition deal. "Nick Clegg and I are both political leaders who want to put aside party differences and work hard for the common good and for the national interest," he said. "I believe that is the best way to get the strong Government that we need, decisive Government that we need today. "I came into politics because I love this country, I think its best days still lie ahead and I believe deeply in public service, and I think the service our country needs right now is to face up to our really big challenges, to confront our problems, to take difficult decisions, to lead people through those difficult decisions so that together we can reach better times ahead. "I want to help build a more responsible society here in Britain - one where we don't just ask what are my entitlements but what are my responsibilities. "One where we don't just ask what am I owed but more what can I give and a guide for that society that those who can should and those who can't we shall always help. "I want to make sure my government always looks after the elderly, the frail, the poorest in our country. We must take everyone through us on some of the difficult decisions that we have ahead. "Above it will be a government that is built on some clear values. Values of freedom, values of fairness and values of responsibility." Shortly after Mr Cameron's arrival in Downing Street, it emerged George Osborne would be the chancellor - while William Hague was confirmed as foreign secretary. Liam Fox will be the defence secretary. No other cabinet roles were announced, however the Liberal Democrats will get five seats. World leaders were quick to congratulate Mr Cameron on his appointment. 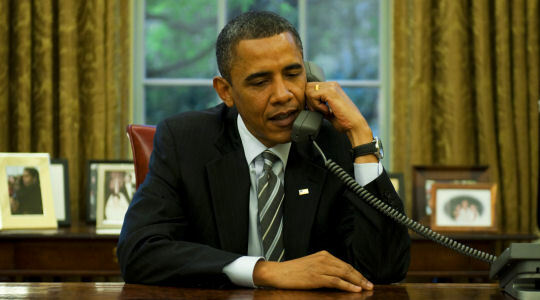 Among those to phone the new prime minister were the German chancellor Angela Merkel, and US President Barack Obama. On a dramatic evening that followed five days of uncertainty followin the general election, Mr Brown accepted that he was unable to form a coalition with the Liberal Democrats. 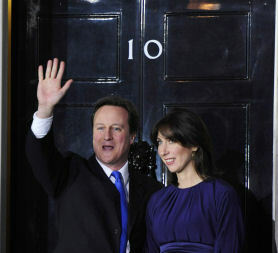 Speaking outside Number 10 with his wife Sarah standing alongside. Mr Brown said: "I have informed the Queen's private secretary that it's my intention to tender my resignation to the Queen." Mr Brown said he "loved the job, not for its prestige, its titles and its ceremony, which I do not love at all. "No, I loved the job for its potential to make this country I love fairer, more tolerant, more green, more democratic, more prosperous, more just - truly a greater Britain." He also paid tribute to the armed forces, saying: "Now that the political season is over, let me stress that having shaken their hands and looked into their eyes, our troops represent all that is best in our country and I will never forget all those who have died in honour and whose families today live in grief." Mr Brown paid tribute to colleagues and staff, who had been "friends as well as brilliant servants of the country". Mr Brown then left Downing Street with his wife and two sons to be driven to Buckingham Palace to formally hand in his resignation. After announcing resignation in Downing Street, he then spoke to activists at Labour HQ where he confirmed he would be standing down as party leader. Mr Brown said: "In constituency after constituency despite all odds we proved that again and again on Thursday night by the strength of our common endeavours that we achieved more together than any of us could have done on our own. "So I'm here to thank every member of Labour staff, every volunteer, every member of parliament, every supporter for what you've done in the past and for what I know you will do in the future." Mr Brown then flew back to his constituency home in Fife with his family. Labour race: who knows Ed Balls? What can we expect from the Con-Lib Dem coalition government? Can former political rivals make the Con-Lib coalition work? With four women cabinet members has old politics really ended? The events that defined and ended Brown's political career. Who Knows Who finds out who could replace Gordon Brown. Jacqui Smith is one of several high- profile election losers. From single-party rule to a hung parliament in one minute. Missed the day? Read our live blog to see how it happened.